Having a cluttered roof does more to your property than effect curb appeal. No one wants to be the house on the block with the messy roof but being the house with a rotten roof is much worse. A little bit of regular maintenance can mean the difference between a roof that last decades and a roof that lasts a few years. When you want to extend the lifespan of your roof, our Milton roof cleaning and moss removal. Roof clutter builds with every passing day. Instead of simply tumbling down from your roof and into your yard, most clutter sticks. Rain and other moisture weighs down lighter materials, preventing items like leaves from rolling off surfaces. As sticks, branches, seeds and even pinecones can act as a foundation layer across your property, collecting new materials over time. As clutter begins to layer over itself, it holds more and more moisture. This moisture can soften some aspects of your property as well as making way for invasive plant growth. Every once in a while, you might notice a rogue plant growing skyward from a roof but not all plant growth is that obvious. The early stages off moss formation often go unnoticed, letting it build up over time. The longer moss is allowed to sit against the surfaces of your property, the more damage is being done. It might not seem difficult to get rid of moss that has accumulated on your property but there is more to it than meets the eye. Simply grabbing a wire brush and trying to scrape away moss can pull away protective layers of your roof or even create holes. 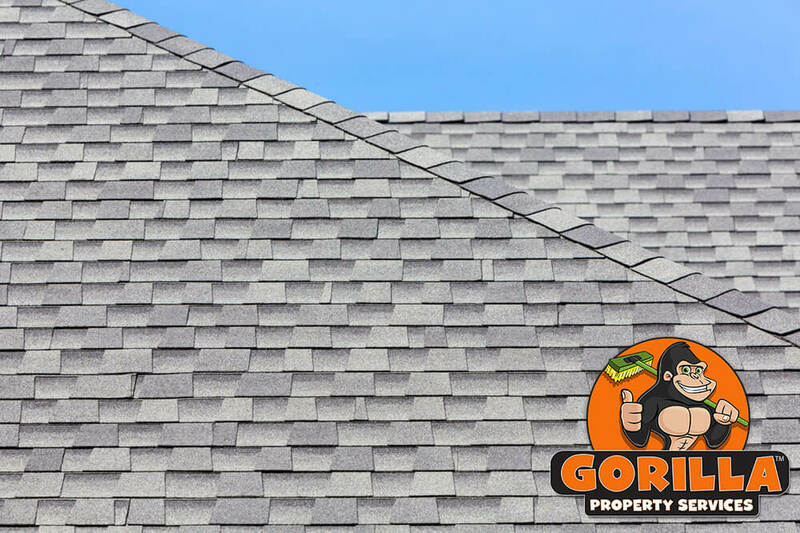 Instead of risking damage, call a Gorilla for your Milton roof cleaning and moss removal. 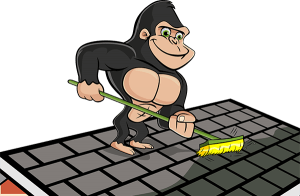 Our Gorillas are highly trained in the proper techniques to get rid of moss without damaging the integrity of your roof.